FLIR OEM’s Tau SWIR thermal camera core delivers outstanding shortwave infrared image quality and performance for applications ranging over a variety of imaging and light level conditions, including in hyperspectral instrumentation, silicon inspection, electro-optical payloads, art restoration, and portable imaging. 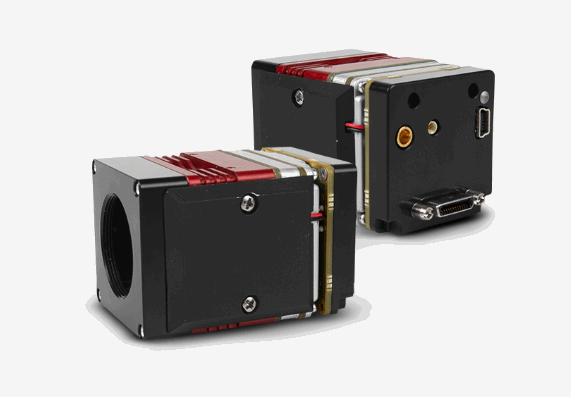 With a high resolution 640×512 ISC1202 InGaAs 15-micron pitch focal plane array (FPA), compact form factor, light weight (<81 grams), and less than 3.2 W power consumption (at room temperature) Tau SWIR has the SWaP that OEMs need. The Tau SWIR thermal core has greater than 65% quantum efficiency and a full suite of FLIR’s advanced image processing modes. It also features a frame rate of 60 frames per second (60 Hz), and 120 Hz in zoom mode. The core includes three gain stat operating modes for low light applications, and an on-chip correlated double sampling (CDS) offering excellent noise reduction. For additional features and specifications on the Tau SWIR, download the above datasheet.